Can You Travel to Canada with a Wet Reckless? It is extremely common in several states, such as California, for a first offense DUI to get lowered to the lesser charge of wet reckless driving or "wet and reckless" if the driver's blood alcohol content (BAC) was near the legal limit of 0.08 percent and there was no accident. Even though a wet reckless is a less severe offense than misdemeanor driving under the influence, it can still render a person criminally inadmissible to Canada unless they have special permission. Crossing the Canadian border with a wet reckless can lead to a refusal of entry if the visitor has not received permission to do so. Special permission to travel to Canada with a wet reckless driving charge or conviction is available as Criminal Rehabilitation or a Temporary Resident Permit. Criminal Rehabilitation allows a person to overcome their wet reckless permanently but can take approximately a year to receive and is only available to people who have finished their full impaired driving sentence at least 60 months earlier. A Temporary Resident Permit can enable a US citizen or US resident to go to Canada with a wet reckless on their record fairly quickly, but is only valid for a limited period of time and must be requested for a specific reason. Canadian TRPs can be valid for multiple entries for up to three years, and can even be applied for at the border if a person requires urgent entry to the country. Want to learn more about Canada wet reckless entry? Contact our legal team now for a free evaluation. Frequently referred to as a "wet and reckless" and occasionally called a "baby DUI", a wet reckless can count as a prior DUI offense if a person is arrested for drunk driving in the future. This not only leads to a much more serious punishment, it can also result in a person no longer being automatically deemed rehabilitated by the virtue of time for the purpose of Canadian immigration. This means that a person with a wet reckless driving charge and a DUI/DWI conviction may not be able to enter Canada ten years after their sentencing is complete unless they apply for special permission. Although the exact language of a wet reckless driving charge can vary from state to state, it always implies the involvement of alcohol or drugs. The equivalent Canadian law to reckless driving is found in the Criminal Code of Canada section 249(1)(a) and is called "Dangerous Operation of a Motor Vehicle." The Supreme Court of Canada has ruled that this statute is narrower than many of the United States' reckless driving statutes, however, so it could be argued that some reckless driving charges do not equate to an indictable offense north of the border. Since a dry reckless driving charge does not explicitly mention alcohol, it could be argued that it will not necessarily render a person criminally inadmissible to Canada. A California wet reckless, Washington wet reckless, and New York wet reckless are all highly recommended over their DUI counterpart as they do not include a mandatory driver's license suspension, have a shorter probation period, and do not necessarily require an ignition interlock device (IID) to be installed in your car. A reckless driving arrest or conviction from any of these states can still lead to a border refusal, however. In addition to a wet reckless, other driving offenses that can potentially result in an individual being denied entry to Canada are negligent driving, careless driving, reckless endangerment, driving without due care and attention, and improper driving. The process of traveling to Canada with a wet reckless arrest or conviction is extremely similar to the process of going to Canada with a DWI. In both scenarios, criminal inadmissibility is determined by the equivalent Canadian law and is overcome with either a Temporary Resident Permit or Rehabilitation. Want to go to Canada with a wet reckless? 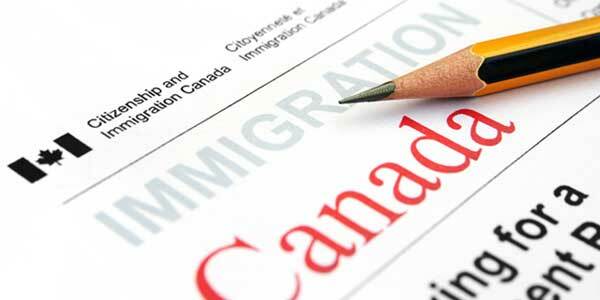 Call us today for a free consultation with a Canadian immigration attorney.